Well that was a nice three year hiatus from writing literally anything on this blog! After Groupon, I worked for a couple of start-ups in SF (using React and Node) and then ended up going nomadic in East Asia for the past couple of years. Recursion and anonymous functions are widely used in modern programming languages. But how does one write an function with no name that calls itself? The Y combinator is the answer to that question. Groupon was my first true programming job. I’d worked briefly at a .com way back in the day, and I’d done a variety of tasks at a start-up in Beijing ranging from running human resources to assisting with business development. But Groupon was the first time my entire job was about producing code. Not coincidentally, it was my first job out of Hack Reactor. Visiting the house I grew up in this past holiday season, I had the strangest experience. 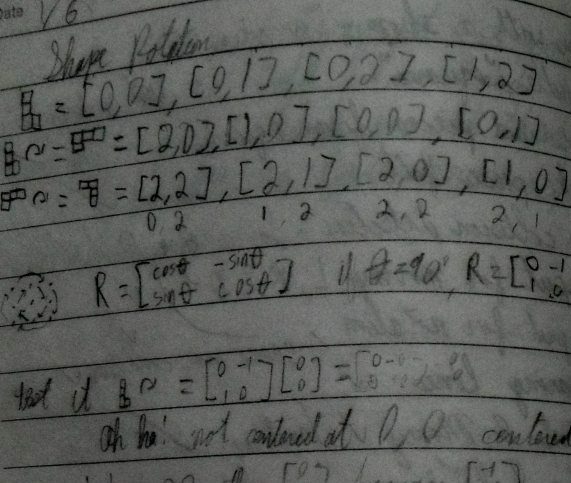 I found my old notebooks from when I was about 14…and couldn’t understand the contents! I had been a math prodigy, entering college when I was 13. But, after a couple of years as a good college student left for social reasons to become a pretty mediocre high school student. Over time, I ended up focusing on other things and the math skills deteriorated. 2013 was a singular experience. Entering into the year, I was upbeat but still struggling in a lot of ways. I had faced rejection on nearly every front—countless job interviews, a coding school, and even a love interest. I was living in a tiny room in Chinatown worrying about running out of what was left of my savings while I looked for work. A that made 2013 all the more amazing! I developed new skills, got better schooling than I had hoped, started a great job, made great new friends and reconnected so many people from my past. It wasn’t just me, either. I also had the chance to see friends succeed on a bigger scale than ever before. I have huge plans for 2014 and I have nothing but excitement about throwing myself in, heart and soul. It’s a day late to say this but Happy New Year, everyone! Thank you so very much for being my friends, through the ups and downs. I’ve spent a lot of time on Massive Online Open Courses (AKA MOOCs). I’ve learned some great things from them, but I’ve also encountered a lot of time-wasting inefficiencies. For the most part, I’ve been taking programming and CS-related MOOCs. There are quite a few I looked at and then bailed on before doing any work, but also quite a few I put work into. Below is a list of the classes I worked on and then a summary of each. Upon starting work as a software engineer at Groupon this April, I noticed that I was an outlier. Pretty much all the engineers I talked to had technical degrees, and a huge number were from one of three sources—Stanford, an Ivy League school or a start-up that Groupon acquired. My particular group was full of crazy-technical Chileans from one of those acquisitions. Needless to say, nobody else had a B.A. in a foreign language like I did. Within my first month on the job I started planning a roadmap to increase my skills to the point where I could shine even among this impressive company. I’m happy to say that Hack Reactor exceeded my expectations in pretty much every way possible. I learned far more than I ever expected and it was the most intense twelve weeks of my life (Except maybe that time I started a business with no capital in a foreign country).